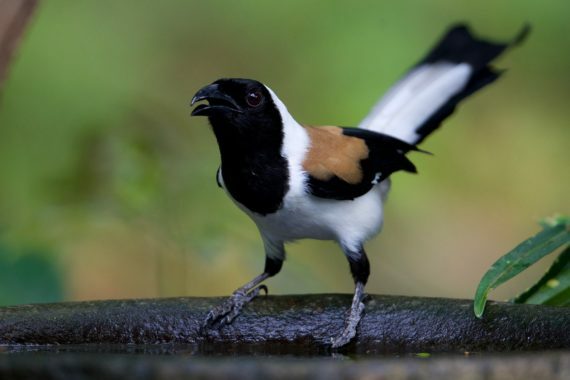 This is a guest post by Aasheesh Pittie, a long-time birder and editor of Indian BIRDS. 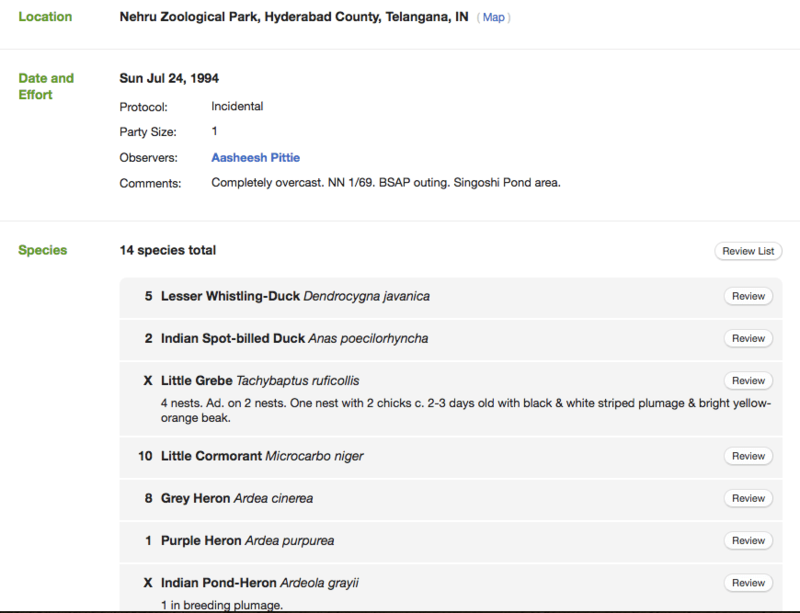 He has also contributed a large number of historical records to eBird India. When I began birding, in 1978 or thereabouts, only two tools were considered essential for a bird-watcher: a pad and a pencil. Even binocs and bird guide were sidelined as superfluous. The emphasis was on observing and noting down, what you saw, in the field itself. A lapse of time between observing and writing down, relying on memory, conjured “thingamajigs”. You relied on your eyes and ears to imbibe, and your digits to record. In the process, there were no distractions, no intrusions. You connected with your subject in a way that left indelible impressions, not just as an experience in the mind, but also as a factual record on paper. Later, at home, or in a library, when you read up your notes and compared them with what was known about the species to the scientific world, you realised perhaps, that what you had recorded that morning, was common knowledge, and you took heart that you had re-confirmed a fact; that your notes said the same things as were stated in Salim Ali’s Book of Indian Birds or Whistler’s Popular handbook of Indian Birds. Oftener you realised you’d missed recording stuff they’d noticed, and yearned to go out there soonest, and see or hear for yourself. But the best was when you’d noticed what no one else had. It was electrifying and beset you with self doubt, but then your notes supported you. So you wrote to an expert, or a more experienced friend for advise, and waited for a response. Invariably they urged you to write up your notes and send them for publication to one of the two extant journals, the Journal of the Bombay Natural History Society, or the Newsletter for Birdwatchers. Once published, you sported a feather in your cap! If you had the inclination, and the time, you could fair-up your notes at home. My system was a tad elaborate. 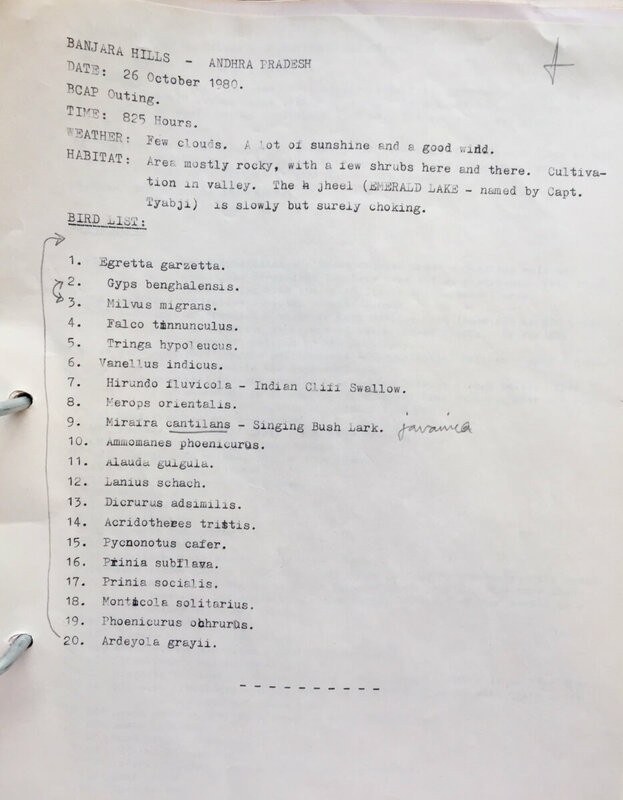 I typed out the notes from each trip, onto foolscap sheets, bannered with the name of the place, dated, with any additional notes like weather, habitat, names of other bird-watchers (OBW), etc. These I filed away alphabetically. I numbered all my field note books, and their pages. These numbers too I typed on the relevant trip list sheet; all of which helped in quick retrieval of data later. Typing on single sheets allowed their alphabetical assimilation, useful when one wished to see the chronological notes of a particular place, all being in one place, not scattered over several note books. 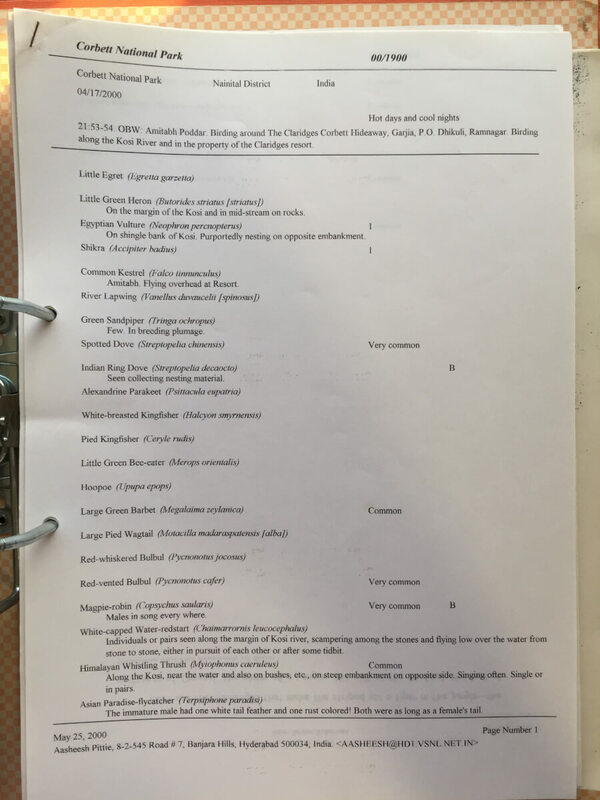 I went a step further, and created sheets for each species I saw, and noted in long-hand, the date, place of observation, notes, and reference number of the field note book. These I filed by corresponding Handbook (Ali & Ripley’s magnum opus) numbers – not alphabetically. It was tedious, but immensely rewarding, e.g., all my Grey Wagtail records were on a single sheet of paper, or more, all in one place. 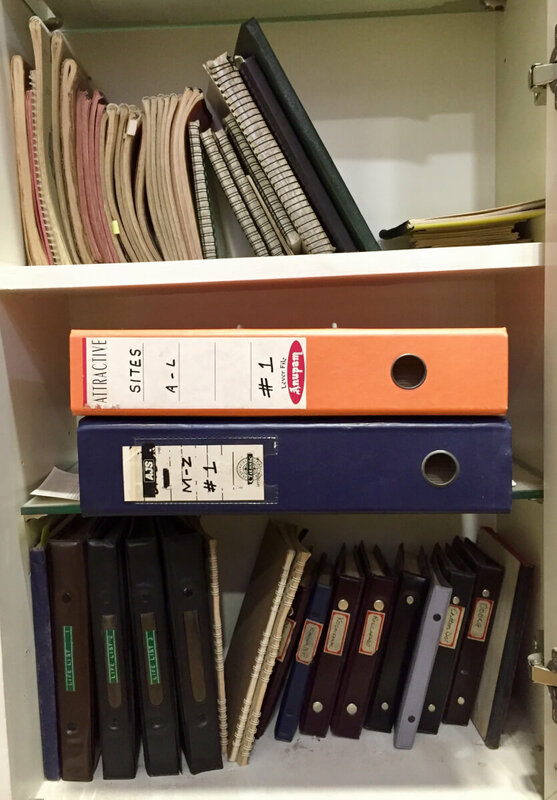 When the digital era opened up ways of storing these analog records in the new format, and promised innumerable ways of data retrieval, and transfer, I migrated all my data to commercial database software called ‘Bird Recorder’ in 1995. I had read about it in a copy of the OBC Bulletin. The software was developed by Jack Levene’s, Wildlife Computing Limited, which is still going strong. But the notebooks have remained my prized possessions, with their quirky sketches, irreverent observations, on the spot jottings of banter, shairi, etc. As my notes grew, even if they comprised mundane lists of birds, they were data that could be used one day. But it frustrated me no end that I was unable to make them available to a wider audience. I did not want it sitting locked inside my desk. If that was to be their ultimate fate, their usefulness would be only partially served – by being personally gratifying to me. But the arrival of eBird changed all that. Here, finally, was an opportunity to add my life list to a database that truly represented my aspirations for my birding notes. The transfer from Bird Recorder to eBird was a breeze through the interface. Now all my notes are on eBird, in the public domain. To my mind, they could not have been put to better use than form a small part of the vast numbers of records comprising eBird. I had also entered historical published records, e.g., Salim Ali’s Hyderabad Survey, into Bird Recorder, and hoped to key in the contemporary records too, but that remains undone. The idea was to create a comprehensive digital database for the erstwhile political state of Andhra Pradesh. Now that scanned versions of journals, and PDFs, are so easily available, I hope someone will take up the challenge and complete the work. Despite the convenience of eBird, even that of using it directly in the field, nothing can replace the original tools of a bird-watcher, for the activity is not merely the insipid listing of birds. Everyone should discover for themselves the character of every species, the habitat it lives in, the miraculous change of seasons, the trigger that clicks in place instinct. After a while eBird notes become standardised in form and output. Whereas, when the emotions you experience while watching an avian drama in the wild are translated in your own hand into your notebooks, they thrill you through you lifetime. Very nicely put! Amazed by looking at those notes..a treasure for birders!! Thanks for sharing..
My way of customising my experience (after I started on eBird to keep my bird lists) has been to write an account of my outing, which includes birds and other beings too. 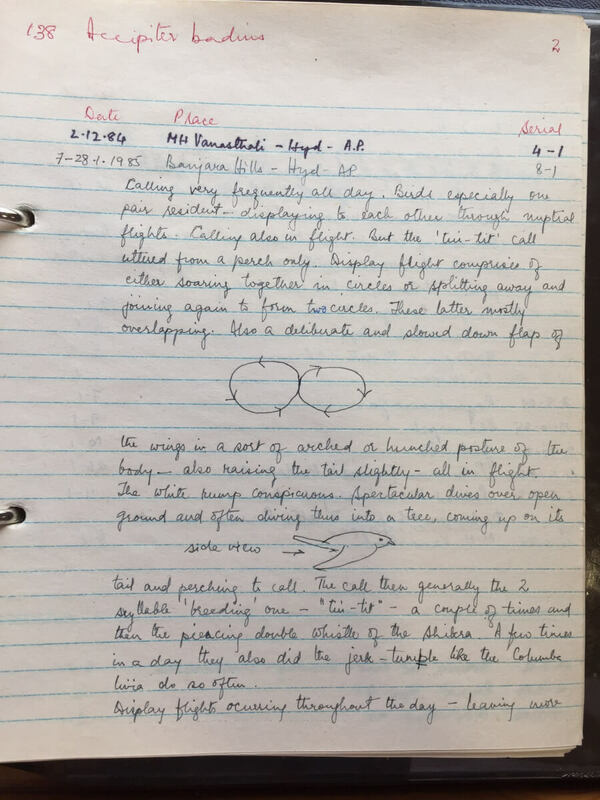 I lost many of my notebooks from my early days as a birder, and I count it as not great loss because my sketches were none too good! Deepa. So true ! This is nostalgic ! As if a replay of my last 20 years’ birding carrier. Amazing records sir, thanks a lot for sharing !